1. 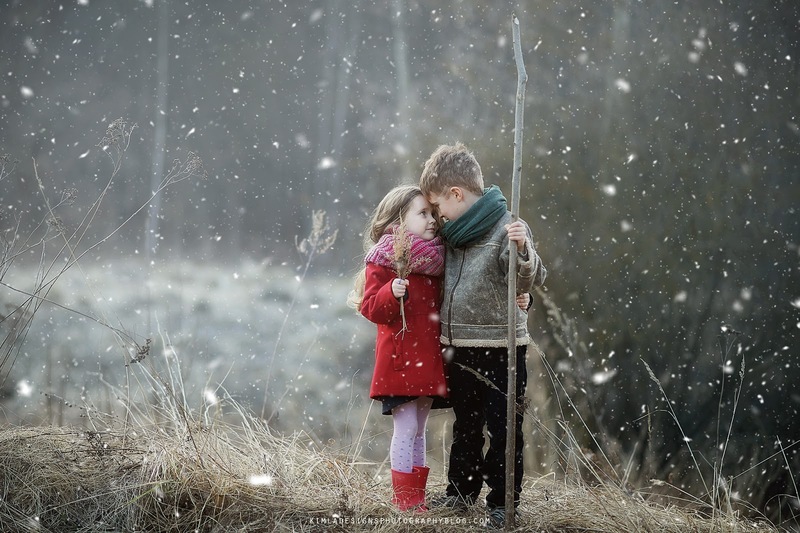 Why snow overlays are saved as a JPG's ? How to hide black background? All our Snow overlays from both Winter Wonderland Collection and White Winter pack are saved as JPG's images. These are high quality images, they should work with high resolution pics and it's simply smaller size than PNG's or PSD files, even when zipped. We saved each snow overlay on a black background just because it's more visible. Have you heard about different Layer Modes in Photoshop? Try to change it from Normal mode to Screen. Yes, I've told you already, it's super easy! 2. How to hide Snow Overlay from some parts of the picture? I like to add new layer mask over Snow Overlay and simply mask off these parts I like to hide. 3. Can I apply few snow overlays over one picture? Yes, absolutely! You can mix and match few overlays and you are free to do any other adjustments with each of the layer - change opacity, use Filters, like Gaussian Blur to make it more soft or Motion Blur etc. 4. Can I use Snow Overlays with studio work pictures? Yes, why not! It would be hard to get falling snow effect in studio, right? 5. What software do I need to use Snow Overlays? 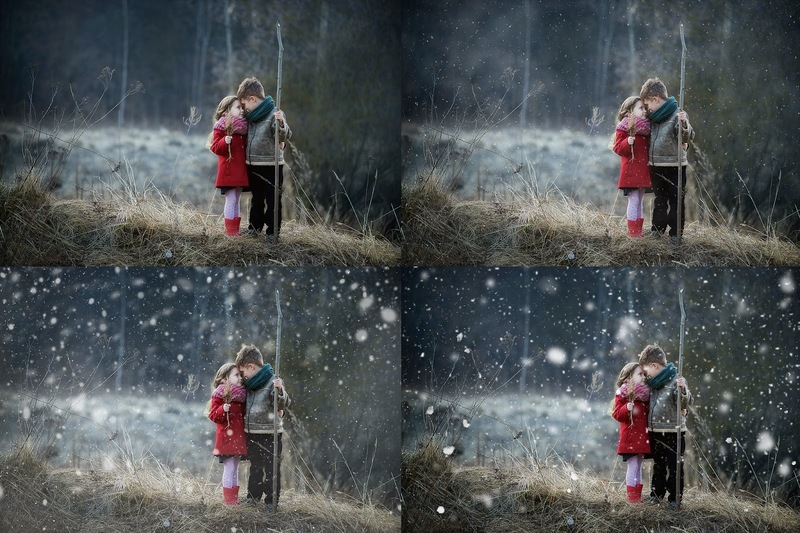 Each snow overlay has been created with Photoshop CC, but you can use them with the help of any software supporting layers - PSCS2+, PSE, Gimp and many more. 6. 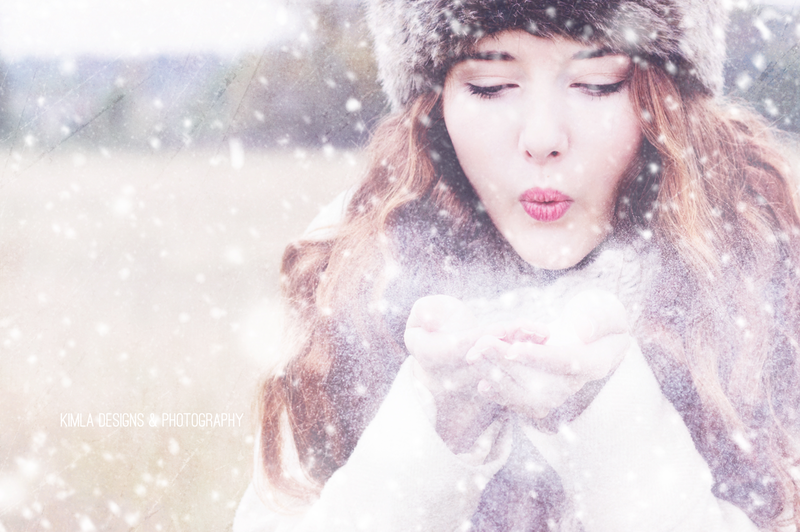 I'm using Snow Overlays for the first time. Do you have any tips? Photoshop overlays are very user friendly tools, you should have some basic knowledge of the software, know how the layers work that's for sure. I'm always trying to apply one layer of snow first, and lower opacity of it a little. It really depends on the picture. I mentioned it in my latest tutorial, that these tools won't fix bad pictures. You can apply 10 layers and cover all picture with the heavy snow if you like, but this is not what your picture is about. If you are trying to turn Summer picture, shot in full sun, into white Winter wonderland don't expect amazing, natural looking effects. Some basic correction in RAW should be made first, retouch as well. It's worth to try some general Winter edit, just to tone down the colours, make them more wintry. You can learn about Oh so White Winter PS Action here and check many more beautiful snowy pictures here. Please let me know if you have more questions in the comments. Hope you will find this post useful. Pin it and share it with your friends. If you like to check White Winter Collection, how it works with your photos, please contact me via Shop contact form. Little freebie sampler from this collection is available here.